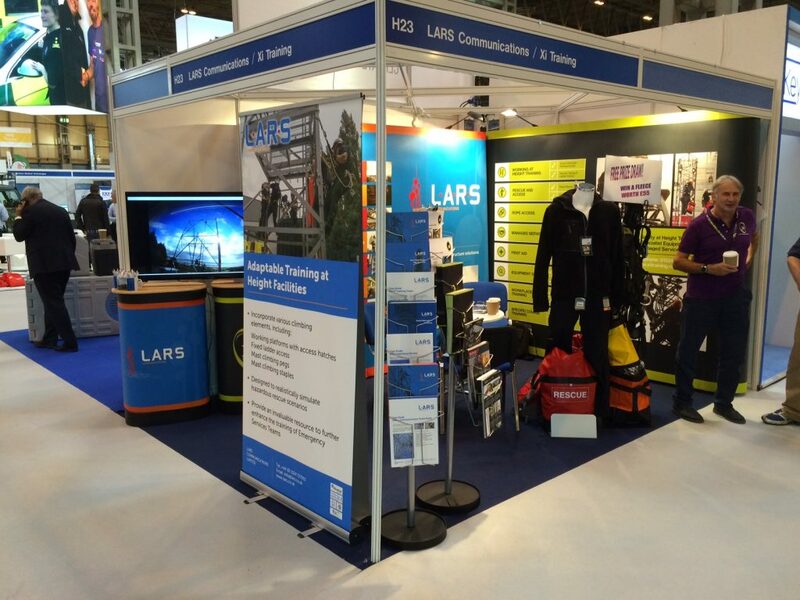 LARS recently exhibited at the Emergency Services Show at the NEC in Birmingham. We were joined there by our sister company, Xi Training, for what was a very successful first showing at this exhibition. We have worked in the Emergency Services sector for many years with numerous customers from each of the blue light services. Visitors to the stand expressed particular interest in the fabrication and construction of various structures, our tower strengthening and structural upgrade expertise and our antenna rigging, alignment and testing services. LARS will also be exhibiting at the forthcoming FCS Business Radio Event at Chateau Impney, Droitwich Spa, on Thursday 17th November, 2016. For registration details for this event go to http://www.fcs.org.uk/events/fcs-business-radio-2016. It will be good to see you there!